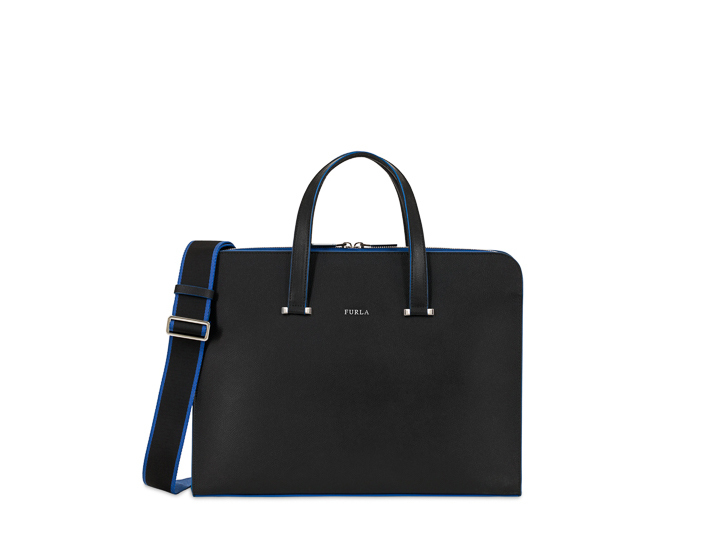 The Furla Man Vulcano business tote in matt calfskin is organized into two lateral compartments; one central zip compartment; one business card slot and two pockets – one of which is zipped.Protected by metal feet and enriched by a special, woven shoulder strap in contrast colours that can be removed; it can be carried by hand or over the shoulder. Made in Italy. 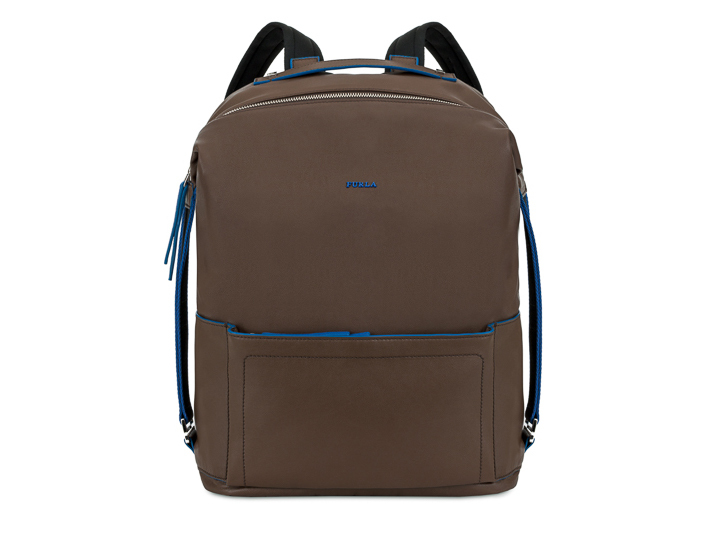 The Furla Man Icaro backpack is accessorized with length-adjustable, sturdy shoulder-straps in black ribbon.In addition to the leather handle, it is fitted with a practical handle on one side to carry the backpack as a handbag. One external zip pocket and three internal pockets complete the design of this very capacious model.Crafted from soft calf leather; it features a top zip closure. Made in Italy.